Lakhs of aspiring students took a test on Sunday called the CAT to enter the IIM.There is always a simpler way to enter the IIM’s and it involves the one who wants to enter to stand outside the gate of the respective IIM and then repetitively move their legs in a to and fro motion such that their bodies are physically displaced into the inner perimeter of the concerned IIM. In simple words, all one has to do enter an IIM is to walk through its gate. This is a 100% successful formula for entering the IIM and produces results at IIM Ahmedabad, Kolkata, Lucknow, Bangalore, Indore, Kozhikode and the IIM Bay of Bengal. 1. ]To take this test and do well you studied night and day by locking yourself inside your room, not having a haircut or a bath and eating very little thereby causing yourself irreparable harm.Would’nt it have been better if you did the same thing on TV and get rich the way Rahul Mahajan has on Big Boss? a. No, I like locking myself inside my room. b. Yes, I should have. 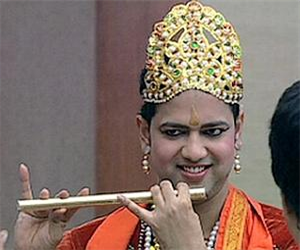 In future I will use Rahul Mahajan as a case study for my MBA. 2.] 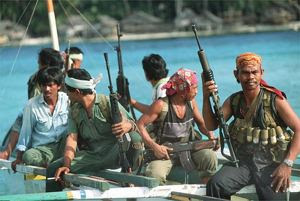 If the Somali pirates were to hijack a ship full of pirated DVD’s, which war on piracy would become more important? a. The ship pirates of course, as an IIM student how else will we entertain ourselves if we can’t watch pirated DVD’s in our dorm room. b. It can only be option (a) above. We could have said “BOTH” but at the IIM we believe in compliCATing things. Why else would we name an exam after an animal and create a national holiday just to fill 500 seats? 3.] Why are you writing this test? a. Don’t know, I was bored. b. I wanted handwriting practice. c. I had some extra cash I wanted to burn so I used that as the entry fee for this test. Didn’t actually know I had to sit for three hours and then realize I didn’t even pass the test.Damn you IIM. 4.] 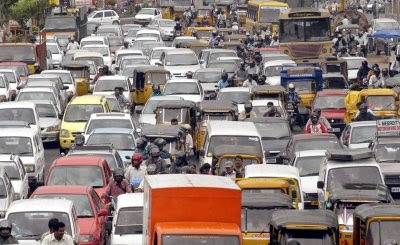 If it takes A 2 minutes to travel 10 km in Mumbai and B 20 minutes to travel the same distance, what is their average speed? a. What sort of names are A and B? b. Screw this test; tell me how I can travel 10km in 2 minutes in Mumbai! 5.] If you were to pass this test and get an MBA degree you would end up working for someone rich like Mukesh Ambani or Kumarmangalam Birla. Would you prefer this or be a self employed professional like Abdul Karim Telgi? a. I would like to work for a family owned business house thereby negating my chances to truly make myself the boss of my own company despite an IIM degree. 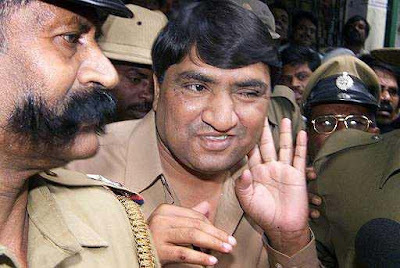 b. Abdul Karim Telgi is my role model, that guy earned his cash by literally printing his own money. 6.] 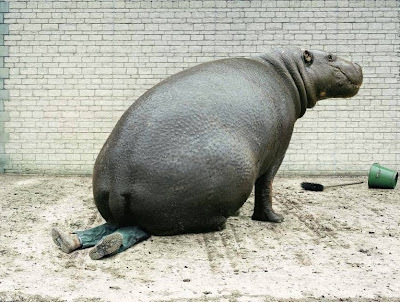 Study the figure below, what would you do if you were the guy under the Hippopotamus? a. Try to manage the solution, after all this is a test for a management degree. b. Poke the hippo with my fingernails. c. Scream for help, DUH! d. Discuss wildlife conservation with the hippo. e. Why is there another option, if the above 4 haven’t worked I’m probably dead. Please attend my funeral.